Years ago, coloring books used to be a lot easier to find. When my daughter was young, I could walk into any big box department store and pick a variety of them. I’d find a lot of her favorite cartoons and I could even snag a bunch of nostalgic coloring books, like the Flintstones, Mickey Mouse and Jetsons which are still popular. Today, I still have a hard time finding coloring books in stores. Most of them are activities books instead of just good old coloring books. But there is an abundance of them online. Zendoodle is a line of whimsical coloring books that feature a plethora of different subjects from cute animals to enchanted gardens. Their endearing artwork is attractive to both kids and adults. Plus, as well all know, coloring is such a great way to unwind and get you into your zen space. There is something about playful primates that people love. They’re cute, entertaining and very mischevious. There are 62 black and white pages that you can bring to life with a collage of chromatic colors. It looks like there are several different kinds of monkeys frolicking throughout the pages, each behaving very well on paper. There are also flowers, coconuts, snakes, animals and jungle scenes to amuse the monkeys. These pages can also be removed from the coloring book and encased in a frame. This would make a perfect gift for my niece Penny! That is my reason for wanting this prize. love to win to sit and colour them along with a grandchild! My granddaughter loves to color and I’d love to win this for her. Yes I color with my granddaughter. I want to win because I LOVE to color! I would like to win this prize because it these look like colouring books both my kids and I would enjoy colouring together. Both myself and my oldest daughter would enjoy these! My students would love this. Need this for my wife. I love to color. It’s so relaxing. I love to color and experience all the new items that go with it. I’d love to win for my little man to get him into coloring! I would like to win for my daughter. She loves this kind of books. I like to colour with my niece and nephew. This would be fun for us. I would love to win this prize for my Granddaughter. I’d like to win this prize for my best friend! She would love it! I want to win the coloring books because I need to keep calm while I’m trying to quite smoking for the 20th time, please !! I’d love to win this for my daughter and I. Time together well spent, talking and colouring. My granddaughter love colouring and will love these book! I’d like to win this prize because I find colouring relaxing and fun. My mom would enjoy it. Right now she is confined to her bed for a couple of month with a broken leg. This would be something for her to do. This would be a great gift for grandma who loves to color. This would be great to gift to my nieces. Thanks! My granddaughters love to color and this would be something we could all do together. My granddaughter loves to color. I’d like to win this for her. I love spending quality time colouring with my granddaughter! These books are great for my older daughter to relieve stress. My girls love colouring and particularly enjoy the adult colouring books even though they are only kindergarten age. I find colouring calms them and I enjoy the time we spend colouring together. Thanks for the chance to win. 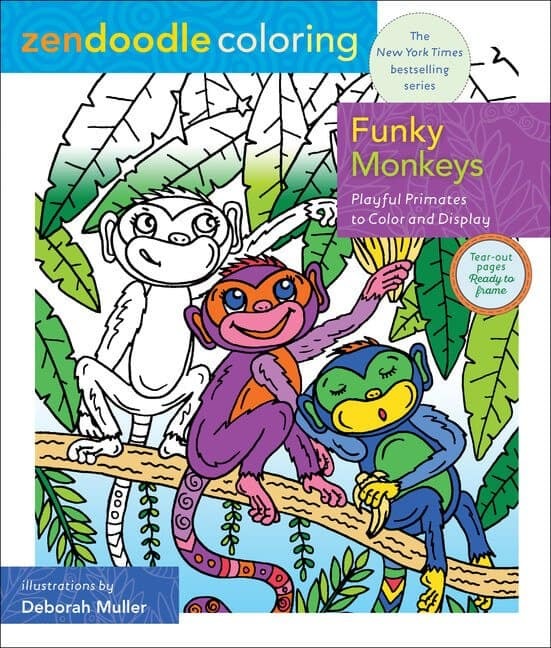 These coloring books are adorable and I have grand children who would LOVE them!! Even at my age I enjoy coloring so just maybe I would keep it for myself. It is so relaxing to color. I would love to win this prize because my grandson and his cousins all love to colour. I want to win the prize because I love colouring! Colouring is my zen place. Everytime… and it is so easy to get lost in it. I love doing this! What a relaxing pass time! As an adult I find colouring so relaxing. Yes I love to color in the Adult coloring books, find it so relaxing. My sister would like this book. My daughters love to colour! The whole family likes to colour and we’re always in need of more colouring books. I would like to try it to relax. My daughter loves to color and I want to win this for her! Coloring has long been a family pass-time for me and my sisters, I would share it with them. My sitter would love these as she enjoys colouring. I’d love to win this for my friend’s pre-teen daughter. She loves colouring! I find these books to be good for my daughter. Colouring helps her focus and calm. I would live to win the funky monkeys! My fiance, my 2 year old son and me are all born on a year of a monkey so we are a family of monkies! Happy holidays! would love to colour these with my daughter (more excuse to buy more coloured markers)! thanks.